Embroidery is a fundamental fashion element. Today its importance is more than ever and it isn’t restricted to the cottage industry anymore. The business is booming with some of the top industry brands associated with it. 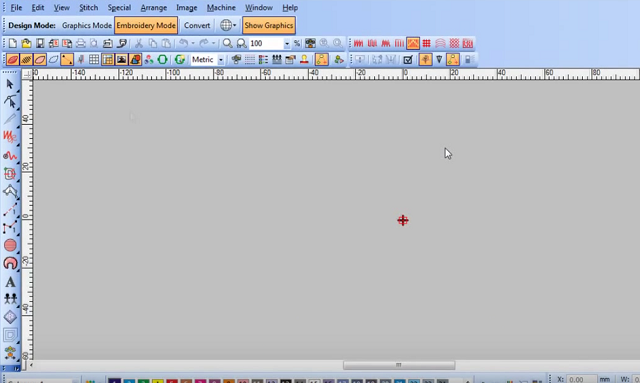 One does not need spending days with the needle and thread to manually craft a logo. Perfect machine embroidery can be attained with a few clicks by hiring one of the best embroidery digitizing service. It does not matter if the embroidery digitizing process is being done in-house or outsourced, high-quality work truly matters. If you’re starting new in the business, avoid making the mistakes done by most newbies. Investing in embroidery equipment and digitizing software at the same time often results in money wasted on many programs you don’t even need. Although digitizing and embroidery are interconnected, they operate in two different dimensions. Getting started with embroidery digitizing may seem like a piece of cake. On the contrary, it can take months if not years to get accustomed to the process. One has to be familiar with the intricate details before finishing a flawless design. You need to have a clear understanding of needles, threads, underlays, toppings, hooping techniques, types of fabric, push and pull tension and so on. Trying to absorb all that knowledge will keep you occupied for months. 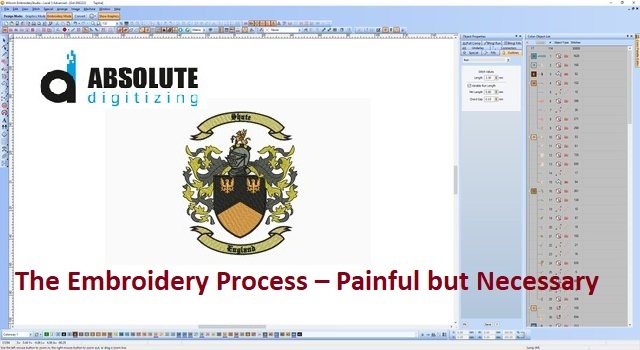 If you’ve decided to master full-scale embroidery digitizing, you’ve got to practice patiently. Not everyone in the embroidery industry can be a digitizer. It is a very demanding job which on the contrary, looks very easy. If you’ve tried a software yourself, you might already know it’s not everyone’s job to be an embroidery digitizer. You need to find an experienced professional. Working with professionals is better than to have poor quality finishes or damaged products. Digitizing products is easy, but a monotonous task. It consists of proper mapping, using the underlay, understanding the given design. Most of the digitizers today have been machine operators in the past. Watching how the machine operated on various designs and fabric, their concepts are clear. They handle complex designs more accurately and are less likely to complain to the repetitive processes. Like every other job out there, it also requires dedication, time and energy to master. When one starts looking at it as stitches rather than graphics and software, the process becomes less painful and result oriented. If you’ve decided to outsource the design work, the internet is a bliss. You can find the perfect services online. You can contact an individual (not recommended) or a company that meets your requirements, provides quick delivery and is affordable. Hiring an individual is risky because you are limiting yourself to just one person whereas you have the opportunity to explore talent all over the world. Companies offer quick delivery and better quality work because they have a team of multi-disciplined digitizers. How long have they been a contract digitizer? Ask for a portfolio. Anyone working for a considerable time will have many designs to prove their worth. Do they have a proper team to handle your work? Choose a trustworthy payment channel. Legitimate businesses will always use popular payment methods. These are just a few points worth asking when choosing a new company. I have personally been asked countless times if I am the very person who would be working on the designs. The answer to this query is mostly ‘No’ because a single individual cannot work on every design and meet deadlines. The quality of work needs to be perfect and delivered within the specified time. It does not matter who digitized it. Today, most websites have already addressed the most common issues on their FAQ’s page. It is better to read them so that you have most of the answers already responded. Need Urgent Designs? Not a Problem! Back when outsourcing wasn’t too common, there were only a handful of individual’s available. Computers were slow, the software’s ability to perform was also limited. It was the norm to deliver in 3 – 5 business working days. Hence the urgent designs couldn’t be outsourced. That is not the case anymore. If you’ve already had a look at our delivery time, it is within 24 hours. We have never failed on our promise. Our experts work carefully on each design ensuring all aspects are perfect and instructions are followed (in case of special instructions provided). We can work on your urgent designs as well. The workshop is well equipped to work on the toughest artwork and deliver within a few hours. If you are in a hurry, it is better to inform so that we can start working on your designs without any delay. Let’s be realistic we live in a world of humans, not angels. It is common to make mistakes, but no professional makes a habit of it. We always counter check our work for any omissions or mistakes but sometimes, there could be minor mistakes in the delivered work. But if anything has escaped our watchful eye and caught your attention, kindly do let us know. Our policy binds us to rectify mistakes and corrections will be provided without additional charges within the shortest possible time. As far as prices are concerned, the market is very competitive and every embroidery digitizing service provider is aware of that. Outsourcing your designs is cheaper than hiring a digitizer inside your office. There’s a misconception in the industry – the best ones are always expensive. That’s not true because we are a leading logo digitizing company and our prices are the cheapest. We provide custom designs digitized at $1/1000 stitches. Do we compromise on quality because of the cheap rates? “NO” because we understand that a business’s reputation matters the most and so does ours. We have never accommodated on quality and our motto is ‘under promise and over deliver’. If you haven’t tested us before, now is a good time to try. We are always ready to take up challenges, our work speaks for itself and you will also agree to it. Do you need a logo digitized? Our experts would be more than happy to amaze you with our impeccable quality and extra fast delivery. Get a quote now!